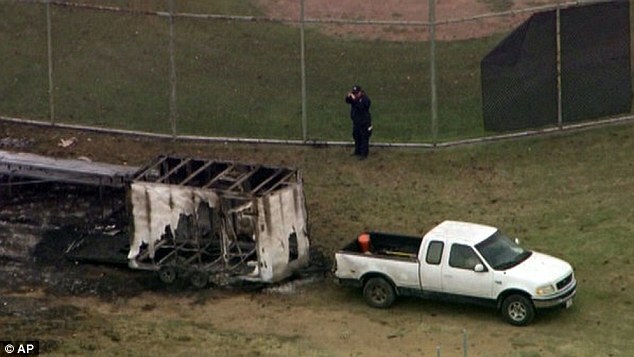 One person was killed and three others severely injured on Thursday afternoon when a truck carrying Fourth of July fireworks detonated outside a central Texas high school as workers prepared for the show. 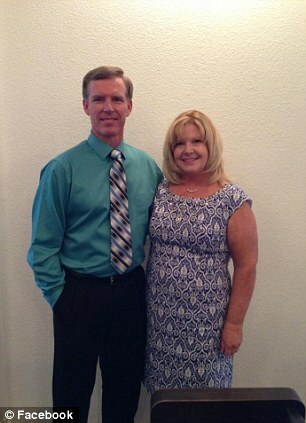 Dr. Russell C. Reynolds, a chiropractor in Comanche, was killed in the explosion. Three others were injured, with at least one rushed to the hospital by helicopter. 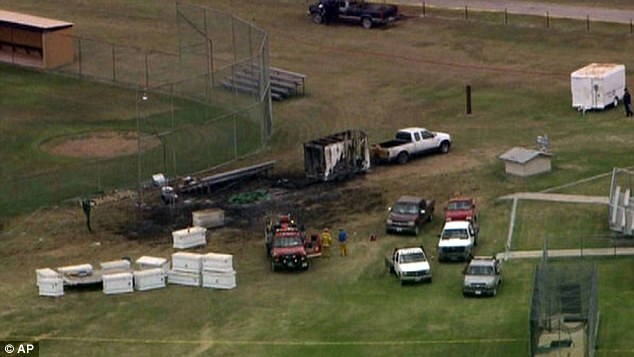 It is unclear what triggered the explosion which happened by the baseball field when crews were unloading tubes containing fireworks in the town of 4,300 people, 100 miles southwest of Fort Worth. The club has organized the fireworks show for the past 24 years with no previous accidents. "These were very experienced men in what they were doing," a spokesman said of the workers preparing the display. "They knew what they were doing." Friends said Dr. Russell C. Reynolds, who was a licensed pyrotechnician. Reynolds and other members of the town’s Kiwanis Club were in the process of setting up fireworks for Friday's celebration, authorities said. Reynolds died at the scene. The fireworks show has been one of the largest in the region, drawing 15,000 people, many from metropolitan areas such as Dallas, Fort Worth and Austin. 'We're still in shock,' a community member said. 'And definitely in a community our size, there will be some kind of ceremony' to recognize the victims, she said. The Texas fire marshal's office and U.S. Bureau of Alcohol, Tobacco, Firearms and Explosives are investigating, local police said. 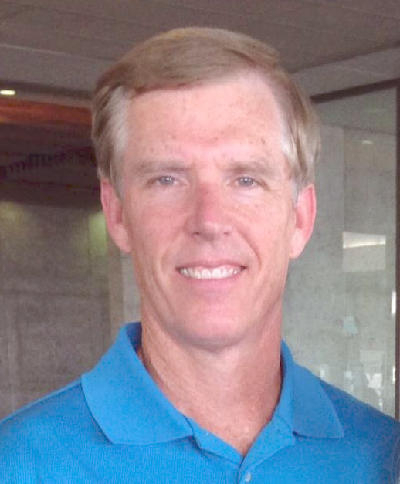 Dr. Russell Curtis Reynolds, age 51, of Comanche, Texas, died on Thursday, July 3, 2014, in Comanche serving the community that he cared so deeply for. 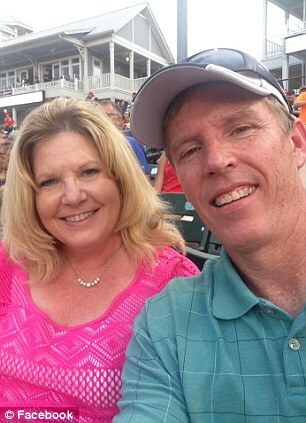 He was born on July 26, 1962, in Knox City, Texas, to Gerald and Nancy (Patterson) Reynolds. On July 31, 1982, he was united in marriage to Sherry Mowrey in Quanah, Texas. Russell graduated from Quanah High School in Quanah in 1980. He attended Tarrant County Junior College in Fort Worth, Texas for his pre-med from 1980 until 1982, and attended Texas Chiropractic College in Pasadena, from 1982 until 1985. On August 4, 1986, Dr. Russell Reynolds opened Reynolds Chiropractic Center in Comanche. Dr. Reynolds was a member of the First Baptist Church of Comanche, Texas. He was a Deacon, a Sunday School Teacher for many years and an RA Leader. He was active in many clubs including, Kiwanis Club of Comanche, Gideons and Comanche Chamber of Commerce where he served as President for two terms, Kiwanian of the Year, Comanche Man of the Year and he served as Comanche Youth Council Coach for twenty years. Russell was a member of the Texas Chiropractic Association and the American Chiropractic Association. Dr. Reynolds was a devoted husband, father, and son. He worked tirelessly and selflessly for his patients, his church and community and was beloved by all who knew him. He is survived by his wife, Sherry Reynolds of Comanche; his son, Brandon Reynolds and wife Megan of Argyle; daughter, Katy Reynolds Pratt of Comanche; parents, Gerald and Nancy Reynolds of Comanche; parents-in-law, Jerry and Shirley Mowrey of Granbury; brother, Rick Reynolds and wife Michelle of Comanche; niece, Stormy Cooper and husband Clay of Dublin; great-nephew, Caden Cooper of Dublin; nephew, Richard Reynolds of Comanche; and nieces, Sarah Ground of Dublin, and Michaela and Rachael Reynolds of Comanche. A memorial service for Dr. Reynolds was held at the First Baptist Church of Comanche at 2:00 PM on Sunday, July 6, with Dr. Van Christian officiating.